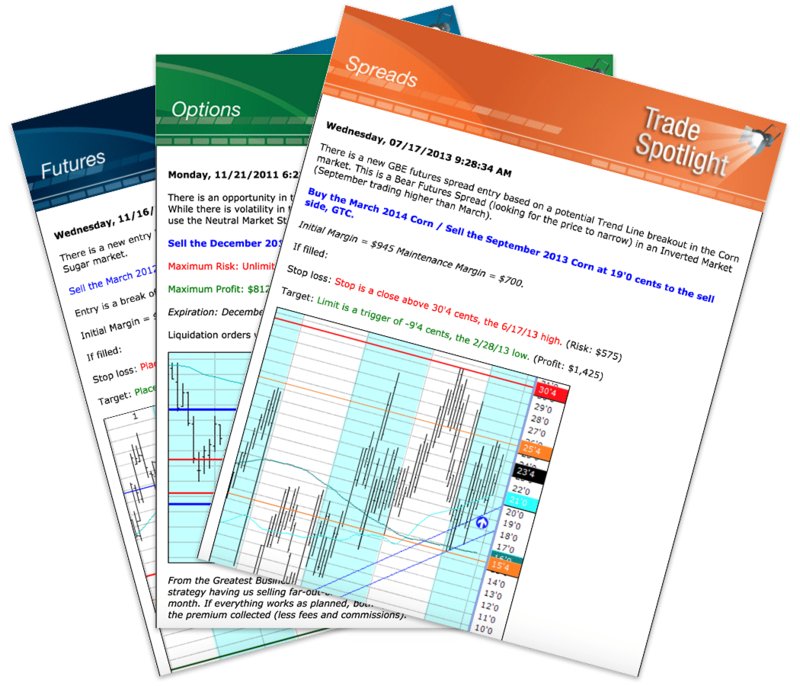 Receive Futures and Commodity Options Analysis That Identifies Trade Setups with Precision! At the end of each trading day the commodity markets are analyzed by applying our methodology. Recommendations are delivered to you based on our trading philosophy. Our technique is to track specific chat patterns for breakouts and apply key technical indicators to confirm the trade setup. That trade setup provides specific entry and exit levels with a focus on risk and capital management. When a trade setup presents itself a precise recommendation accompanied by a defined risk and profit target is sent to you directly by email. You have all the facts necessary to act with confidence by following the recommendation or adjusting to fit your parameters. Once in a position, management emails are delivered to you when it’s time to either tighten a stop loss or take a profit. For the futures segment, an end of week summary email reviews all positions and working orders to keep you on track. For the option and future spread segments, an end of month summary email will review all positions with comments on the short term goals. 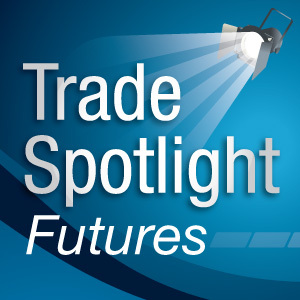 Activate Your Free Trial To Receive Trade Spotlight To Your Inbox! 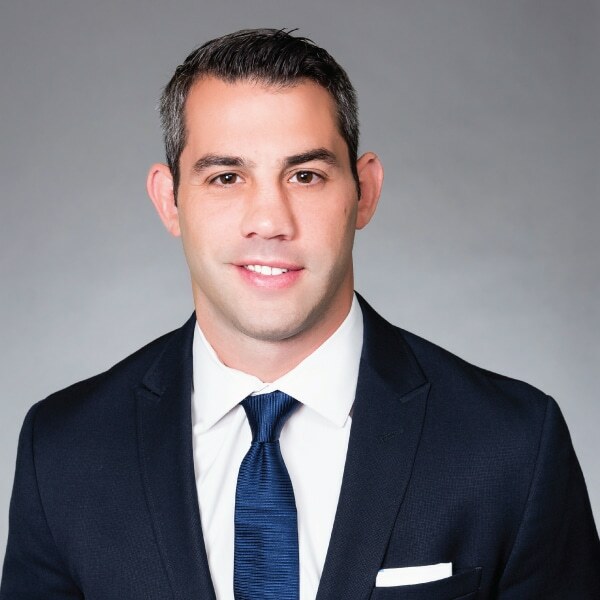 After your free 90-day trial, continue to receive Trade Spotlight by opening and funding a trading account with Daniels Trading. 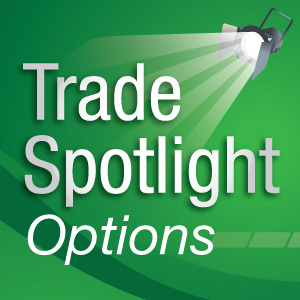 Clients of Daniels Trading who maintain open and funded accounts are eligible to receive Trade Spotlight for FREE. 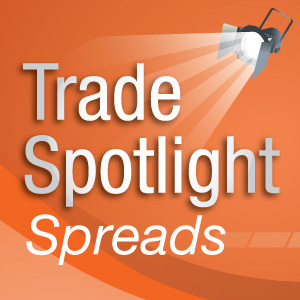 If you are a client, please contact your broker to receive the Trade Spotlight suite of newsletters.